Croydon Airport Model Flying Club was established 40 years ago this year and we are well known for being a small and friendly model flying club of approximately 60+ members whose skill level varies from beginners pilot to the podium finishing experts who enter into the BMFA Fun Fly National Championships. CAMFC caters for both IC and electric powered, fixed wing, aircraft helicopter and drones. We also welcome free flight and control line moddlers. In addition to this, we have both fixed wing instructors and BMFA examiners within the club for anyone wishing to get into the Radio Controlled Model Flying hobby and learn to fly from the basics. We may be small but we are active! 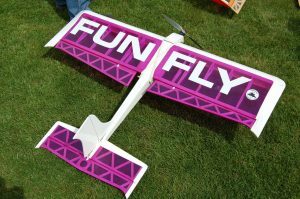 CAMFC is regularly organising events such as Fun Fly competitions (including inter-club), trips out to see the origins of flight along side small shows, BBQ’s and club nights. We enjoy getting involved with the local community and we actively invite people to the hobby from organised groups such as the Air Cadets & Scouts. To see what we are up to at the moment, do check out our events page and get involved! If you are interested in learning to fly fixed wing models, do take a look at the learning to fly section of our website for lots of useful information. If you would like to have a go at Radio Controlled Model Flying, we have fixed wing instructors and an established team to help you into the air. Please contact our training coordinator to arrange a visit to the field.